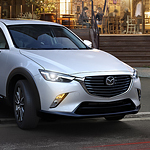 When our friends and neighbors in Burlingame ask us to recommend a subcompact crossover with plenty of gadgets and tech features, we find it tough to point them in the direction of anything other than the new Mazda CX-3. With so much technology on board, it is no surprise that this vehicle is regularly ranked as one of the most popular in its class. 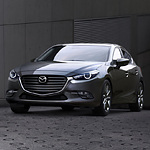 Now that the new Mazda3 sedan is here on the lot at Putnam Mazda, we thought we would take a minute to help educate motorists as to why this vehicle is the popular compact car of the year. 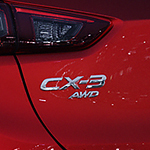 In an effort to make certain a driver is not distracted behind the wheel, the Mazda3 comes with a Lane-Keeping System. Monitoring the exact position of the car on the road, if drifting from the lane lines occurs, vibrations are sent to the steering wheel to simulate driving over rumble strips so the driver knows they must take corrective action immediately. Driving a hardtop convertible can be fun, especially when that vehicle goes beyond those around it in the way that it performs. 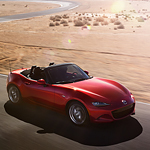 The MX-5 Miata RF is a popular Mazda hardtop convertible that will impress you with the performance features that it offers and the way that it handles on the road. 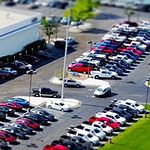 Shopping for a new vehicle can be an extremely big investment. Many people have a hard time budgeting for a new ride, even if they have something else that they are going to trade in. You can open up your options by considering a used vehicle. Many people have a negative opinion of used vehicles. 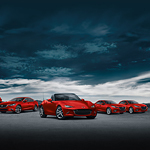 Our family here at Putnam Mazda wanted to help you to understand all the benefits when buying a used car. The one thing you can count on, you'll save money buying a used car compared to brand new. The vehicle is still top quality, but because it had a previous owner, the selling price drops significantly. You can buy a used vehicle with very low miles and save a huge amount of money, many times still being able to retain the original warranty because the vehicle was not driven hard. 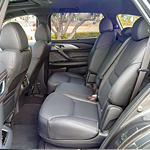 Are you and your family in need of a vehicle to take you around in Burlingame and looking for something with a special design? 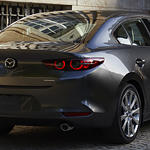 If so, come to us and learn more about the Mazda3 5-Door and all that this popular hatchback offers. The exterior design of this vehicle is sleek and special, and it is made all the more special when you pick out a finish for it. You can choose the color of the vehicle that you are going to be driving. 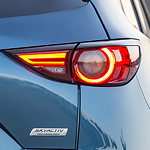 The Mazda3 5-Door is available in a good selection of color options.